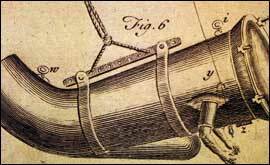 In 1715, an english wool merchant, John Lethbridge, invented a diving barrel. Using his invention, he successfully salvage from several wrecks from which he got rich. One of his better-known salvage is in Madeira from the Dutch Slot ter Hooge. A vessel which had sunk with over three tons of silver on board.